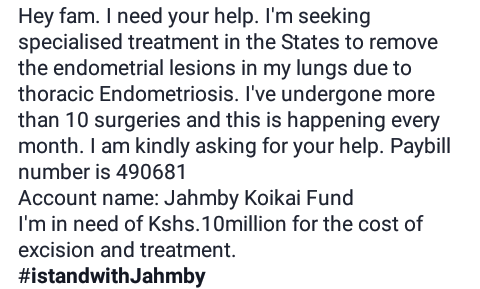 The Trend’s hostess, Jahmby Koikai aka Fyah Mummah needs our help. The beautiful media personality has always been open about her struggles with a rare form of endometriosis. The condition affects her every month, as her lungs collapse whenever she is on her period. 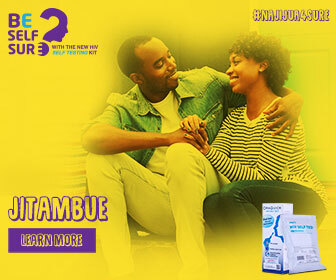 Endometriosis is a condition that affects many women and there should be more awareness on it. 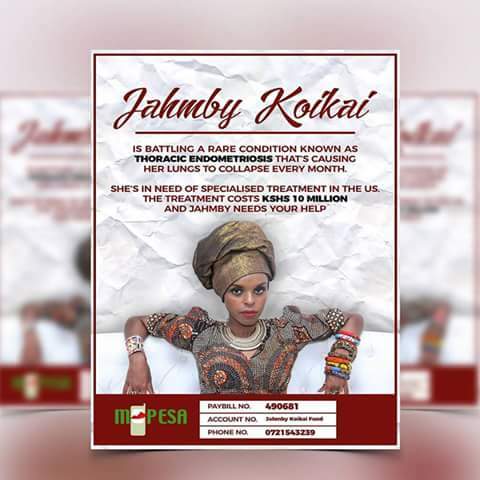 Jahmby has requested her fans and Kenyans to come together and help fundraise for a treatment she needs to get in America. See the post below. Let us come together and help our Fyah Mummah fam! Let’s get her back on our screens doing her thing! Any amount will help and will go a long way. Get well soon Fyah Mummah. Next articlePrezzo: Broke or rich?